Now that fall temperatures are upon us, it is time to put away the short and get your girls ready for fall with the perfect jeans, jeggings and more from l.e.i. You can find a range of new styles, great fits and cool cuts to take her through her school week in style. It doesn't get any cuter than this! l.e.i. 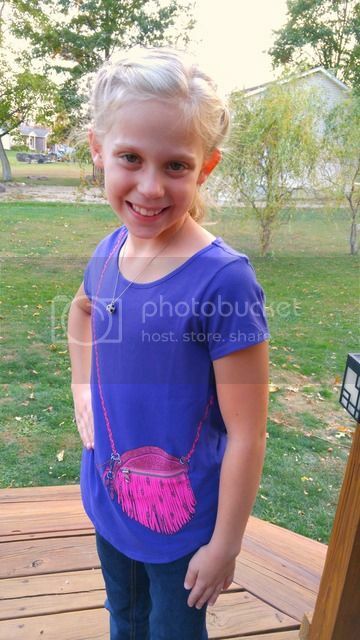 has a line of adorable T-shirts with a glittery purse graphic that offers a fully functional zipper pocket purse. These stylish purses are available in six colors. 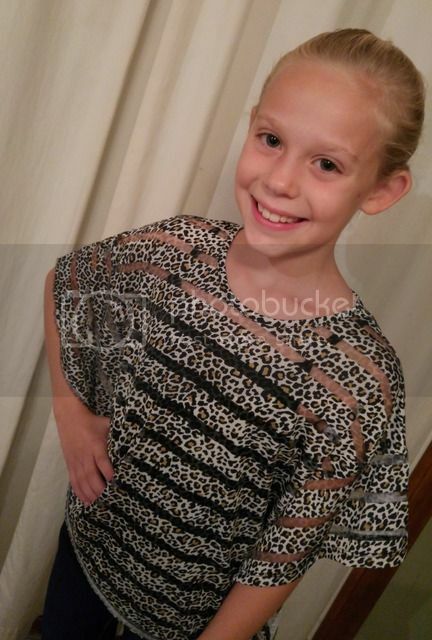 My daughter was recently sent two of these adorable shirts and she instantly fell in love. 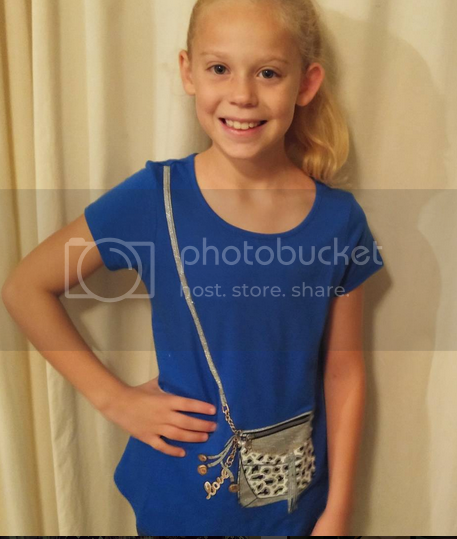 She received the the deep violet fringe purse shirt and the princess blue cheetah purse. Of course the day she wore one to school it was gym day and she had on a bracelet. She took off her bracelet and then placed it in her purse on the shirt. No need to run back to her locker! 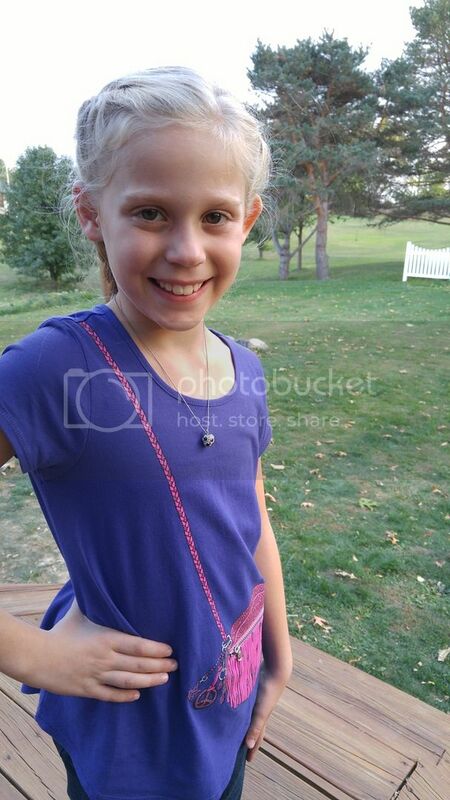 One of her classmates then asked if she would hold her bracelet in her purse for her too. It was a huge hit. At lunch she placed her change in the shirt instead of her backpack. It is so convenient and at first glance, most folks don't realize it is a working purse. We have washed the shirt inside out and line dried it and looks great and still zips perfectly. You can order LEI Girls' short sleeve My Purse Shirts online or pick up in store for $8.50 each. These shirts are a cotton/poly blend. Get sophisticated fast with a LEI Girls Shadow Stripe Boxy Fashion Top with Layering Tank Top. It doesn't look like much laying flat, but once you put it on, your daughter goes from cute little girl to sophisticated tween. This shirty is boxy with round neckline in shadow stripe prints. It is so classy looking. Pair this shirt with LEI jeans and boots and your daughter will be turning heads at her locker! Pair it with a long black skirt and it is even more dressy and she is ready for church or a fancy night out with the family. Pick up LEI Girls Shadow Stripe Boxy Fashion Top with Layering Tank Top online for $6.89! No outfit is complete without the perfect jean! Well LEI has just about every style to choose from, they have skinny, super skinny, boot cut, low rise, straight leg, etc. We were sent L.E.I. - Girls' Kate Skinny Jeans and Chelsea Super Skinny Jeans. These jeans are perfect for fall, the nice skinny legs fit perfectly into boots or pair with a cute pair of ballet flats. L.E.I. 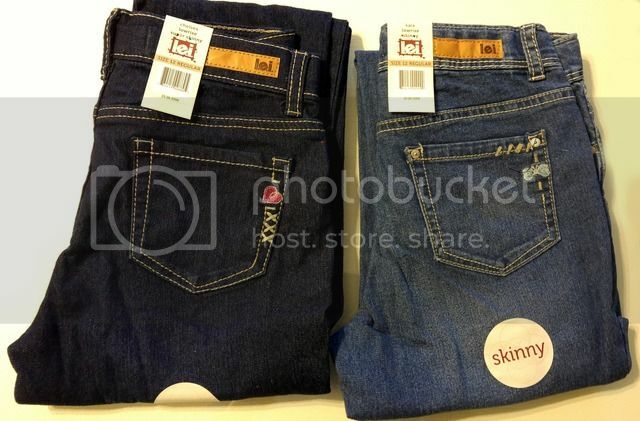 - Girls' Kate Skinny Jeans are available online for $13.94 a pair. They have an adjustable waist, so they can get a lot of wear of them as her body changes. Even though they are skinny, they are not super tight and allow her to still be comfortable at school, even in gym and recess! LEI makes it super easy for you to dress her up in clothes that are cute yet comfortable. The 5-Pocket Stretch Super Skinny Jean comes in multiple colors making it easy to mix & match with her favorite tops. 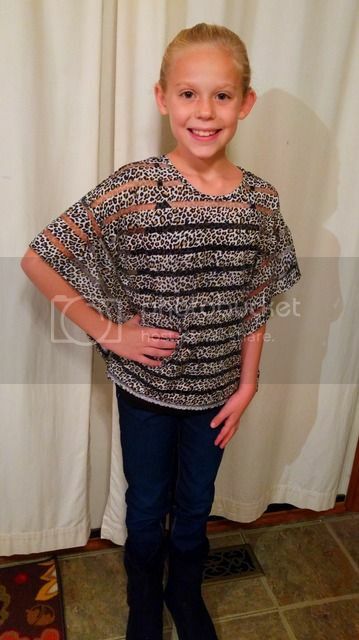 To view the full Juniors and Girls line from l.e.i. please check out our online brand shop at Walmart.com. You can also check out the l.e.i. Fit Guide to help your scholar find her perfect fit!